Our methods allow for excellent results whilst maintaining both an ethical and sustainable approach. High reach buildings – London provides some of the most challenging buildings in the UK. 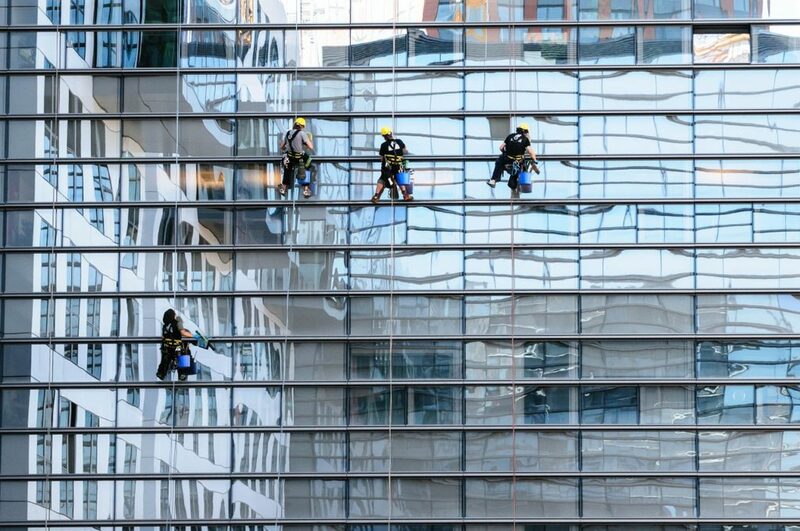 Using the latest equipment, we are able to offer a range of solutions for high reach window cleaning for your business. Reach and wash – We have invested heavily in the latest reach and wash equipment allowing us to safely reach a height of 65 ft or five or six storeys from a standing position. This works in conjunction with our multi-jet brush heads that allow up to eight separate jets of water, providing the best rinsing and cleaning available.